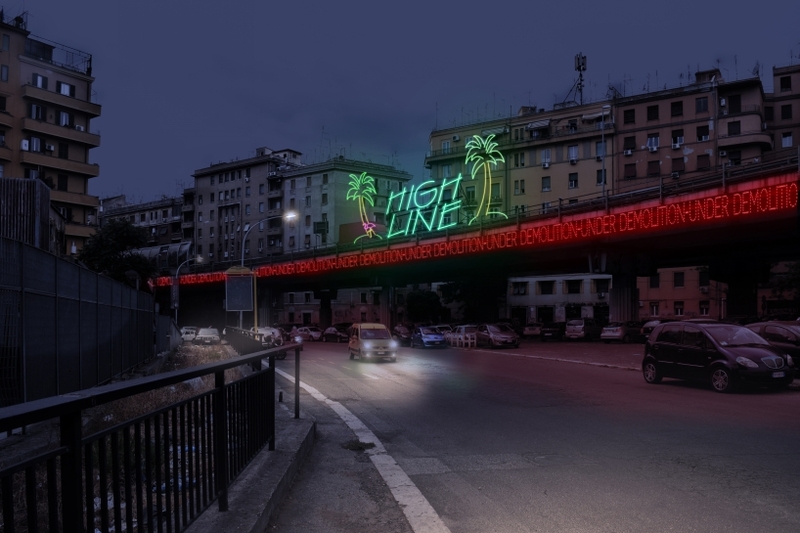 the ‘neon rome’ project by m²ft architects envisions some of the most famous buildings in the italian capital adorned with brightly-lit signage. the concept proposed by the practice aims to play with the meaning of urban transformation by showing historic architecture in stark contrast with a contemporary element – in a state between the real and the surreal. the neon aesthetic has been selected with the intention to create the impression of something alien – a foreign intervention against the backdrop of these well-known landmarks. in particular, the project by m²ft architects looks at recent events in rome to find hidden consequences and meaning. 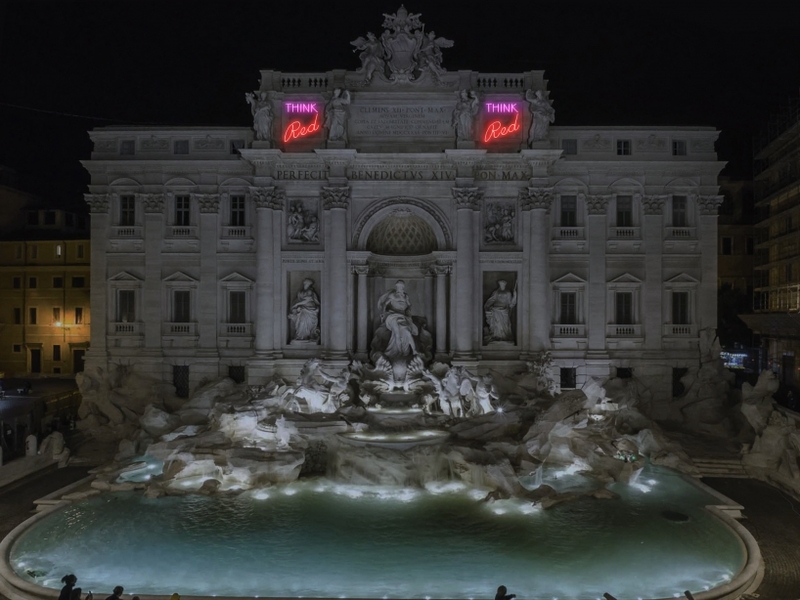 the trevi fountain – a number one spot for tourists – is shown with ‘think red’ neon signs boldly emblazoned on the main façade. inspired by vandalism which the landmark was subject to in 2007 and 2017, the bright signage is envisioned on the old architecture as a way to introduce a contemporary perspective and give the monument new life. 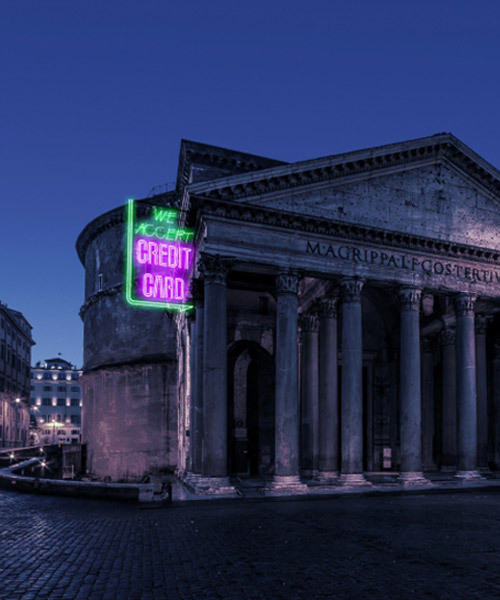 the pantheon is shown with a witty, ‘we accept credit card’ sign, in response to the proposal in 2018 to introduce a paid entrance to the famous building. commenting on our culture of capitalism, the proposed contemporary intervention by m²ft architects attempts to reveal the business aspect of these ancient and religious sites. the image creates a striking contrast between something that is so revered, and something which is seen everyday in modern life. 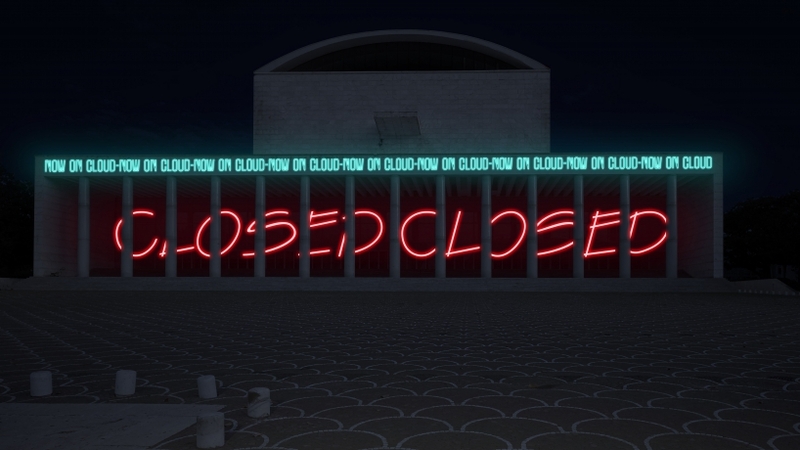 the ‘neon rome’ project also displays signage on libera’s congress building, which is flanked by fuksas’ ‘cloud.’ in addition, tangenziale est is envisioned as a roman ‘high-line’. 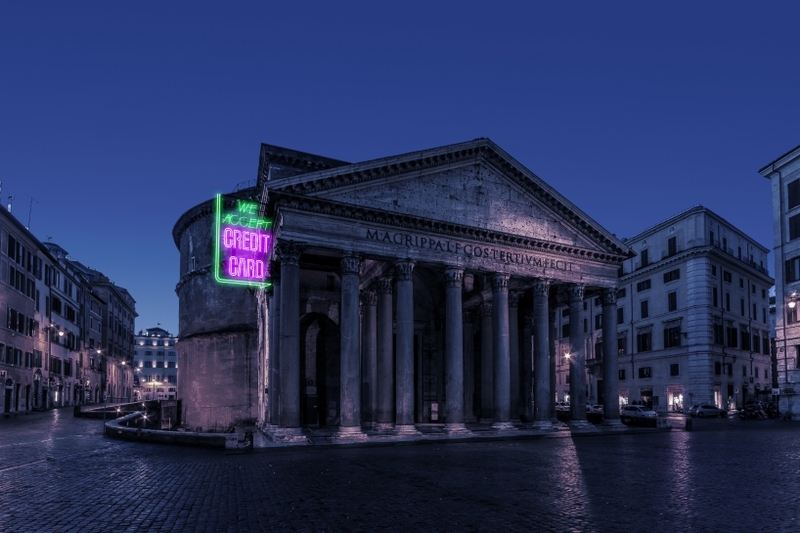 overall, the project creates an interesting dynamic between some of the most historic places in rome, and the contemporary, consumer element of neon signage.